This high, firmer, yet comfortable mattress is built on an unsectioned layer of firmer BIOGREEN foam, which means the mattress can be used by heavier sleepers up to 170 kg in weight. 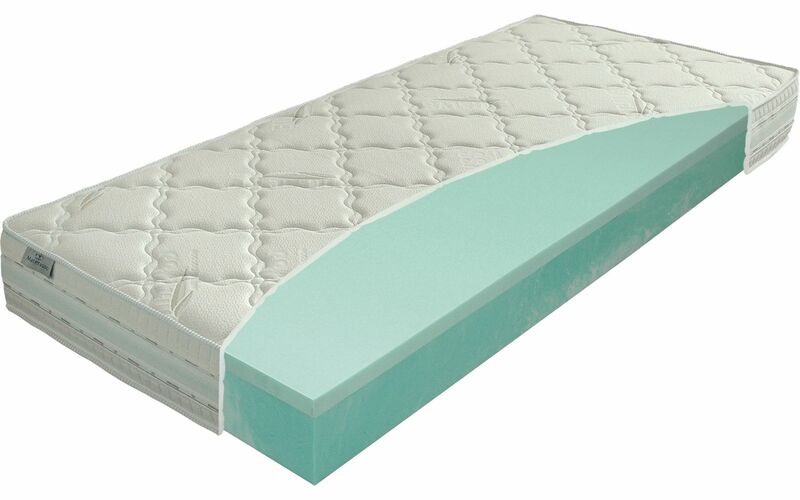 A 4-cm layer of viscoelastic VISCOGREEN foam is added on one side to increase the level of comfort, supported by a further layer of lazy foam stitched into the cover. The EUCALYSS cover is detachable and can be washed at up to 60 °C (the side wadded with lazy foam should only be gently washed without spinning!) and is treated to repel flying insects. This mattress can also be delivered within 48 hours in vacuum packing (rolled) – Vákuo VISCOGREEN.